No noise (silent) during training sessions because continuous inflation is not required (Sealed air technology with Drop Stitch Material) after inflation, the Air Gym Air Track will maintain its pressure for hours, refill if required only takes seconds easily portable from gym to gym. The Air Gym Air Track is relatively light and small enough to fit on the back seat of your car. 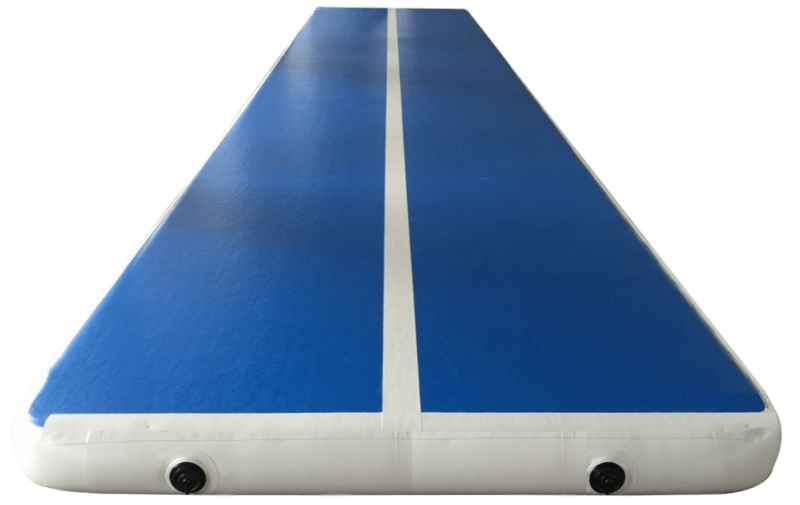 The Air Gym Air Track is used best for takeoff’s, not for landings, unless 2 or more jumps are connected. 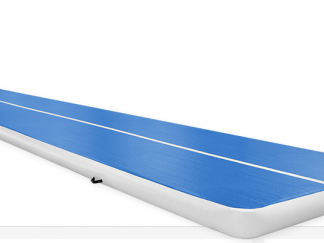 The takeoff is soft, which helps prevent injuries. The rebound on air makes you jump higher and grants more precious air-time to work on your technique. Jumps can be repeated more often with less chance of overuse injuries that happen on more traditional training equipment. 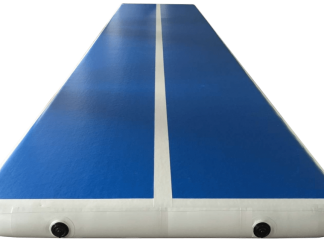 Air Gym, Gymnastics mats for boosting your skills, Ideal for learning new skils and perfecting your technique. Air Gym has the bounce of a trampoline down to a soft landing crash mat. variable pressure allows you to set it rock hard to bouncy soft. Easy and quick to setup and pack away. Simple light blower means you can inflate a 6m track in less then 5 minuits.